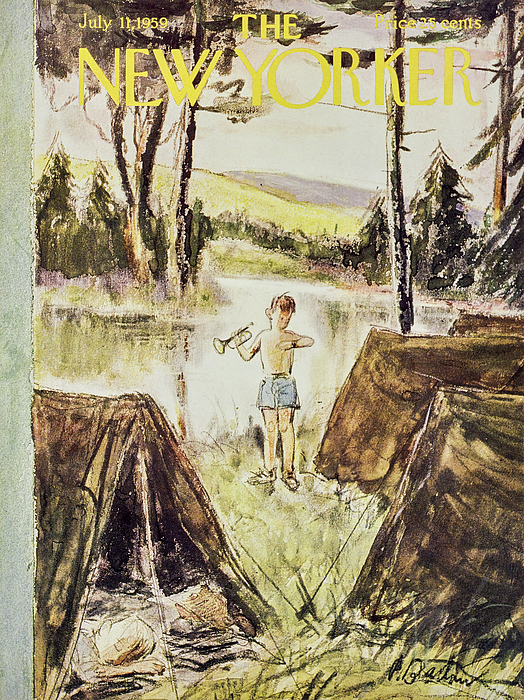 There are no comments for New Yorker July 11 1959. Click here to post the first comment. 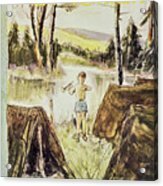 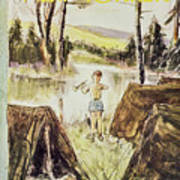 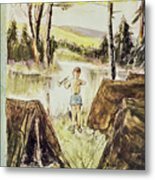 ​​Publication: New Yorker Image Type: Cover Date: July 11, 1959 Description: Boy on a camping trip waiting to blow the morning bugle.